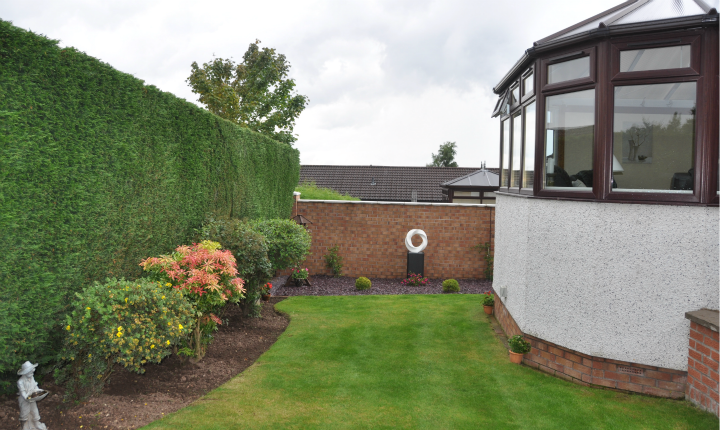 This walling project in Perth really transformed the garden, tying in beautifully with the property and existing garden. The clients had a clear brief on what they wanted to achieve from their project. 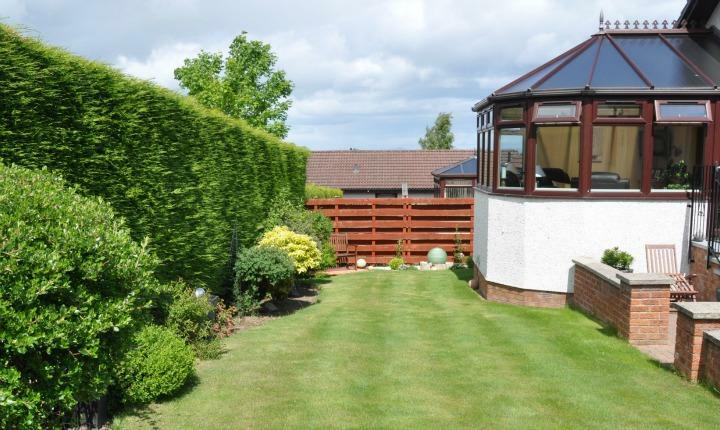 They were keen to remove the existing fences and busy borders and replace these with new boundary walls. 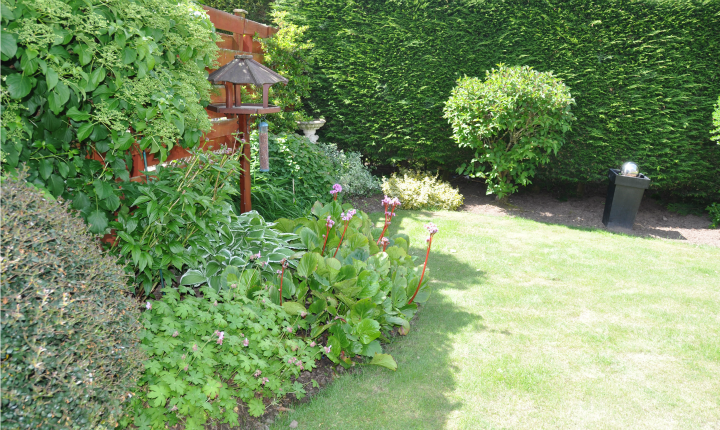 They also requested more low maintenance borders to plant up with their favourite shrubs, flowers and plants. 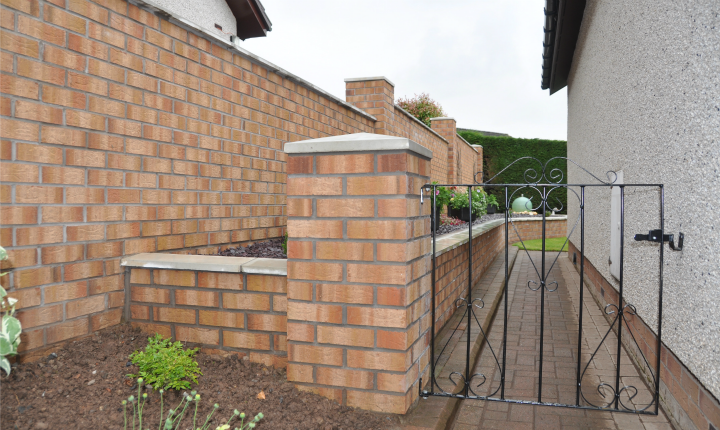 Constructing boundary walls which were then faced with decorative facing brick to match the house. A smaller wall was also constructed in the same materials to introduce a new plant border. Pre cast copes were chosen to cap the walls, providing a lovely finish to the new walls. 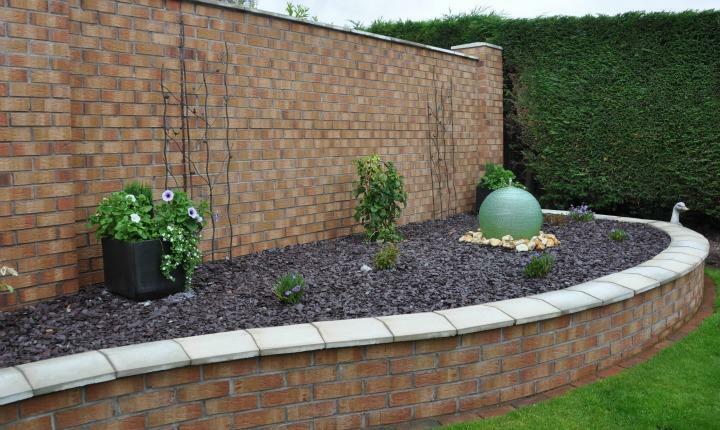 Crushed plum slate was infilled into the border area providing a pleasant contrast to the walling. 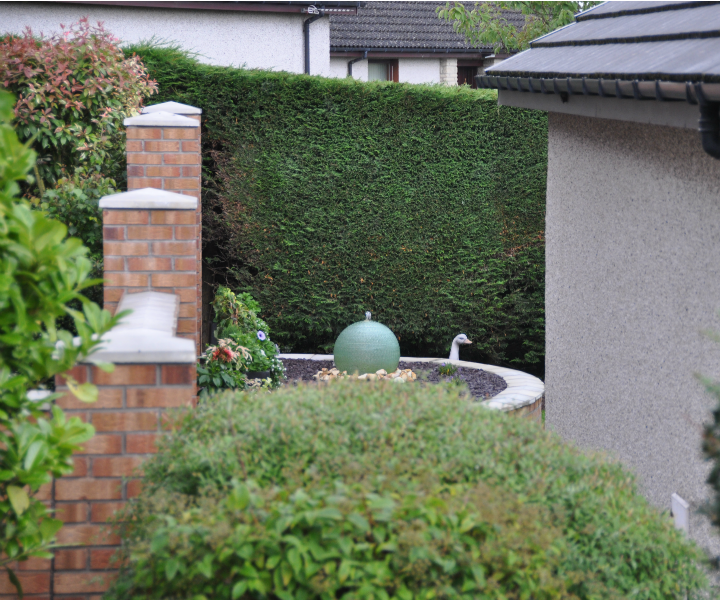 Water features added the finishing touches to the border areas. 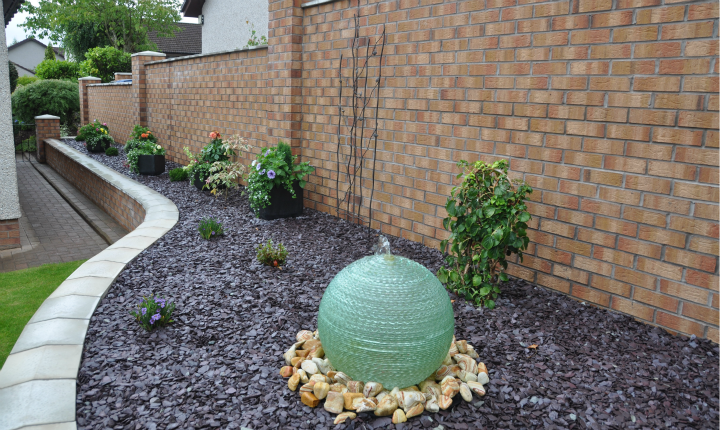 The clients were delighted with the completed walling project which provided an elegant yet low maintenance solution for their garden and co-ordinated really well with their property.